My favourite sign in the botanical gardens in Bogota is about the potato. “After [insert six countries here], Colombia is the number one producer of potatoes in the world,” the sign proudly proclaims. While in Colombia, I have been to the highest vineyard in the world, the largest coastal desert mountain, the prettiest town in Colombia, walked the largest network of bike paths in South America and flown from the number one airport of El Dorado. While ordering coffee recently, the barista informed me that because Colombia is the second most biodiverse country in the world, growing conditions replicate all the other coffee producing countries in the world and them some, thus eliminating the need to buy coffee from anywhere else. Colombia’s got it covered. Colombia’s food in the best. Colombia’s music is world heritage status. 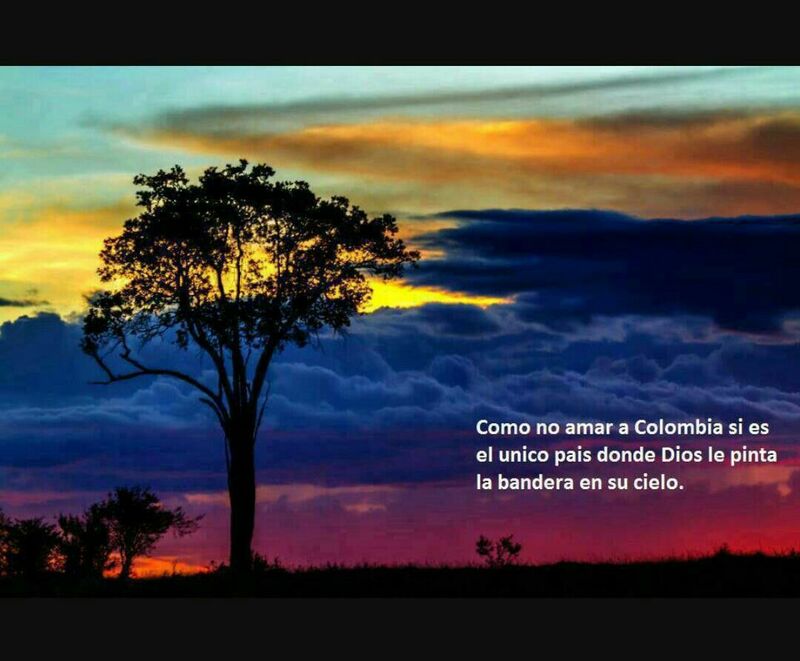 Colombia’s Spanish is the most beautiful. Every taxi driver asks me where I have visited and nods with approval with I mention the tourist meccas of Cartagena and Medellin. The euphoria around the World Cup almost killed all my emotions. When Steve Harvey accidentally named Colombian Andrew Tovar as Miss Universe, a roar of joy went up around the city, to be followed by angry memes and tweets for months after he realized his mistake. A local restaurant even created a hamburger commemorating the occasion. “Living here is great, besides the pollution [in Bogota] and the terror,” a fellow Canadian-Colombian resident recently told me. Sometimes, on a heavy day after talking about security concerns, I wonder if the above list acts as a magic incantation, recited against all the other terror related first and seconds Colombia holds. Colombia has the second highest number of internally displaced people in the world (7 million) and first in disappeared (60.630). We still live with the results of the longest running conflict in the hemisphere and are the third most violent country in Latin America. I was at a fancy coffee shop up in Bogota’s north on the weekend with a Canadian colleague. After the barista’s long explanation about the delight of Colombia’s single origin coffee, we told him the story of the refugee family my colleague sponsors in Canada. Julia (name changed) is a single, Afro Colombian mother from near Medellin. She fled the country with her teenage children, afraid that they would be recruited into armed groups. Ever since Julia’s arrival to Canada, she has bemoaned the lack of Colombian coffee: its flavour, its smell, its memories of home and association with the best coffee in the world. My colleague offered to pick her up some in Colombia. Julia gave her a picture of her favourite brand: Sello Rojo. At the sight of the photo, the barista’s moustached face curled up in disgust, “Que asco!” he exclaimed. Sello Rojo is the ubiquitous pueblo coffee produced from all the low quality floater beans deemed not fit for export. It’s popularity goes directly against a vision of Colombia as a fine coffee drinking society. Yet, for millions of people, Sello Rojo, boiled over a fire and laced with panela, tastes just like pride in their home, even if some of them can never return. The longer I am here, the harder I find it to write one version of Colombia. I am proud of so many things. I also hate Sello Rojo coffee. I try to embrace Colombia’s conflict deifying spirit of resistance, complete with dinamicas and Carlos Vives, while at the same time reflecting on the daily challenges of confronting Colombia’s violence. The best cup of Sello Rojo coffee I ever had was the morning after the Alta Montaña march. We woke up early after a night of sleeping on cement floors. The excitement of arrival and successful negotiations with the government buzzed in every conversation. All I wanted was coffee. Preferably large, strong and sin dulce. Instead, community members refused to allow me to buy my own coffee. They took turns buying each other, and me, tiny plastic cups of heavily sweetened Sello Rojo for doscientos. We drank to each other and to walking. The coffee was terrible and perfect. Joy in a cup of coffee or a patacon isn’t magic, but rather a way of enjoying a perfect moment, even if no ones knows what the next moment will hold. I try to replicate this way of being into my own life and work. After all, this is the country where God himself painted the flag into a sunset for the entire world to enjoy. I feel like I have lived in this essay. Thank you for writing it. I cannot wait to see you (circa mid-September). Big hugs until then.